Owen Smith, the shadow Northern Ireland secretary, has commented on his forthcoming speech at next Tuesday’s conference fringe organised by the Labour Party Irish Society (LPIS) and the Social Democratic and Labour Party (SDLP), “Brexit: The Irish Questions”. The meeting aims to forge an unprecedented campaigning partnership between labour movements in Britain and Ireland, in defence of the Good Friday Agreement and the economy of the North. The panel of frontbenchers and party leaders also include shadow Brexit minister Jenny Chapman MP, SDLP leader, Colum Eastwood MLA and Dominic Hannigan, head of international affairs for the Irish Labour Party. Unison’s Bronwyn McKenna will further survey the impact of hard Brexit upon working people in Northern Ireland and the island of Ireland. The meeting which is led by LPIS chair, Rita Conneely, was conceived and organised by vice chair, Tom McGarry, who said, “A hard Brexit outside the customs union means a hard border in the North. Exiting the single market will have huge implications for freedom of movement and trade between the two countries. The Irish in the British Labour movement need to stand united with our sister socialist parties for peace and fight against the reactionary Brexit right”. Smith is expected to comment upon the implications for peace of the Tory-DUP alliance, and Labour’s response together with its allies. In a statement on the LPIS-SDLP fringe meeting he said: “The Tories are intent on pushing ahead with their hard Brexit agenda and isolate the United Kingdom from its closest neighbours. With no answer on the Irish border and not enough guaranteed on the future of the Good Friday Agreement it is important that we work together with like-minded and progressive colleagues across Europe to ensure the people of Northern Ireland get the best possible deal”. The fringe meeting coincides with the stalemate in negotiations at Stormont to form a power-sharing executive, and further a petition by Jane Morrice, former EU Commission head in Belfast and member of the Good Friday Agreement’s standing orders committee, which calls for Northern Ireland to be granted “honorary membership” of the European Union as a locus of reconciliation and peace. In a novel development, Eastwood has now written to the prime minister demanding in the absence of an assembly and executive and with the “unique challenges” posed by Brexit that membership of the British-Irish Joint Ministerial Council (JMC) which was established by the Good Friday Agreement urgently be expanded to include all five major parties in the North. He said, “It is utter madness that while the Brexit negotiations are taking place, the voice of the majority of people in the North of Ireland who voted to remain is silenced”. 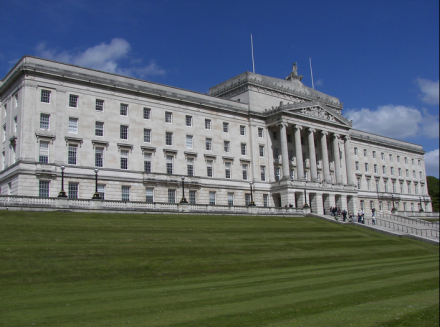 The SDLP leader stated, “It is simply not acceptable that the DUP are the only party representing the views of the North in Westminster as the EU Withdrawal Bill makes its way through the House of Commons. Those views are not representative of the majority of the people who live here”. The head of Labour’s Northern Ireland sister party has been at the forefront of legal and other challenges to Brexit in Westminster, and his statement continued, “Brexit is a real threat to our way of life on this island. Any suggestion of any border here must be resisted”. He said, “While we in the SDLP are working with Labour and the SNP in Westminster, as well as with our colleagues in Europe and Ireland, the British government needs to get its head out of the sand to start real meaningful engagement with all parties here in the North”. An EU summit is due to take place on 19-20 October, when leaders of the remaining member states will discuss the progress status of Brexit negotiations. However, the Irish Taoiseach, Leo Varadkar, has expressed scepticism declaring, “I’m not optimistic that it will be possible to come to the view in October that we’re able to move onto the next phase of talks”. For his part, the SDLP leader insisted, “If the British are sincere in their efforts to find a resolution to the challenges that face this island, they cannot and must not, be allowed to do that without working with those of us who understand the dangerous reality that Brexit will bring”. Brexit: The Irish Questions takes place on Tuesday 1pm-4pm at the Brighthelm Centre in Brighton.